Online resource pack for A Level Music Students, which can be printed at A4. 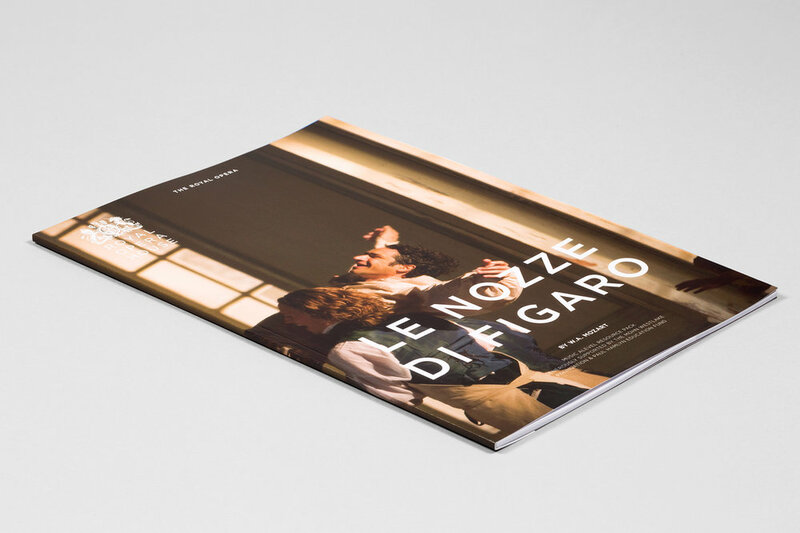 The design uses the recent brand guidelines from the Royal Opera House. Each section takes a brand colour to help readers navigate the book. The image layout and use of large text help to express the comic qualities of Mozart’s opera.